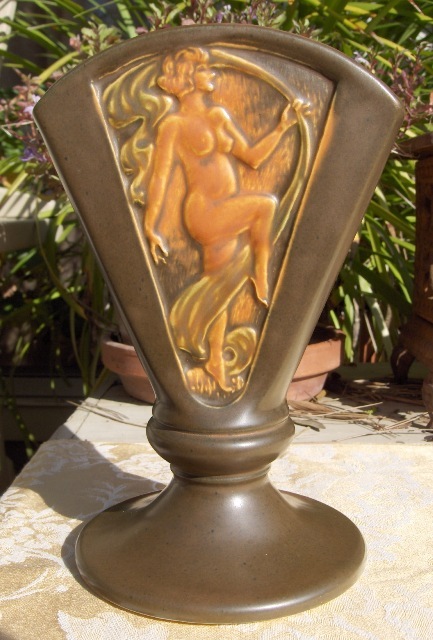 The Long Beach Antique & Collectible Market is a great place to find unique items such as this rare Roseville “Silhouette” Vase with nudes portrayed on the front and back panels. Billy Blue Eye Pottery & Paintings offers a great selection of pottery including Catalina, Weller, McCoy, Shawnee, Stangl and many more. You can find us this Sunday, March 21st at the Long Beach Antique & Collectible Market. It is located at the Long Beach Veteran’s Stadium, Conant Street, just East of Lakewood Boulevard. Find us in the green and white tent in booth A-853. The hours are from 6:30 AM to 2:00 PM and admission is $5.00. 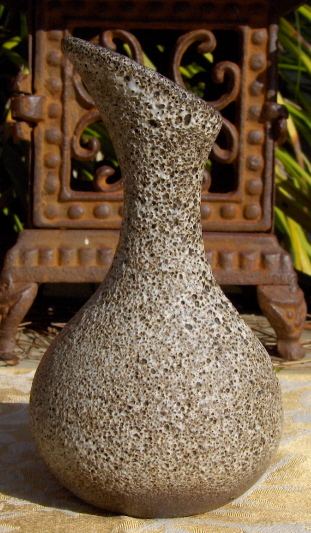 For further information contact us directly at billyblueeye@cox.net or for Flea Market information visit http://www.longbeachantiquemarket.com.